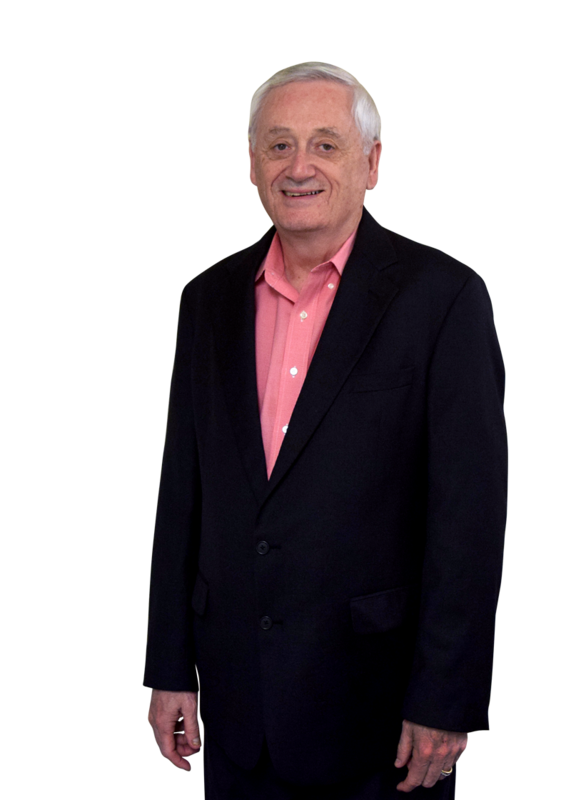 Come let Ron LeGrand show you how ordinary folks all over North America are making a lot of money in real estate without using their money or credit. If you’re not making obscene amounts of money in real estate right now, you’re missing the best opportunity of your lifetime to get rich. …and it does not require money, credit, experience or a license to get started. I’ve set aside a full day to share these secrets. You’re invited to attend if you truly want to make this year your best year ever and let this recession make you rich. I call this all-day seminar The Fast Track To Wealth, and the title says it all. But Who Am I, And Why Should You Listen To Me? Over the past 37 years, I have bought and sold over 3,000 single-family homes, and still do 2-4 every month now on auto-pilot with less than 2 hours a week of my time. Where the fastest and easiest money is in real estate and how you can get it with NO money, credit or risk on your part. ...and in this one-time-only, exclusive, invitation-only workshop, I’m bringing in a team to call sellers for you and get you a deal while you’re there. More on that in a minute. The 5 steps to success in real estate, or any business, and why one out of place will crush your empire. Why the easiest money is made on houses in excellent condition in beautiful neighborhoods, contrary to conventional wisdom. I’ll prove it to you on real deals while you watch. The two fastest ways to pick up a big check ($10,000 or more) within 30 days after the workshop. This has become common with my students. You’ll see real examples, some will be yours. How you can work yourself out of your job and into a real life within a few months. This isn’t a joke! I’ve done it for a few thousand folks already, and don’t see why you’re any different. If you want your life back, come spend a day at this event. Incidentally, all techniques are taught using real case studies from real students on real houses, many in YOUR area. You’ll see indisputable evidence that everything I’ve said is true. How to buy a million dollars worth of real estate without coming out of pocket with one red cent or ever applying for a loan of any kind. My friend, this very special session alone is worth many times your investment in time to get here. Every word I just said is absolutely true. Did you know your IRA can buy houses just like you can? Once you learn to do it without money, you simply make your IRA the buyer instead of you so all profits go into your IRA…TAX FREE. Your CPA and attorney can’t teach you this because they don’t know about it. Why? Because they don’t understand real estate investing Ron’s way. Trust me when I tell you it will be a long night after hearing about this. You won’t sleep a wink when you hear how you can put your children and grandchildren through college – absolutely FREE. Real estate combined with your IRA is the key that unlocks the vault. You see, it has nothing to do with your annual contribution or how much money is in your IRA. That’s not the issue. YOU can open a self-directed IRA with the right company and $500, and grow it into a million if you never make another contribution. I know that’s new to you, and you may have a lot of questions. That’s why part of this live workshop is dedicated to it. When you’re done, you’ll know more than your CPA about growing wealthy through your IRA. I promise you it’s all true. You’ll get the best tool I’ve ever used to absolutely ensure you never hurt for deals, regardless of where you live, and it costs pennies to implement. You could be in the middle of a hundred competitors and use this technique to find deals they’d never find, even if they were using the same technique. Better yet, I’ll furnish the virtual assistant for you so they do the work, you just make the decisions. Today finding deals is very easy. I’ve cracked the code, and we’ll find the deals for you. At the seminar, I’ll show you how to quickly prescreen them, and I’ll hand you the million-dollar scripts we use every day to make deals. My system for finding and screening buyers will be laid out for you step-by-step, and it’s all done for you by our virtual assistants and automation. All you do is decide which buyer you want. Today we don’t take endless calls from worthless prospects or show houses or any other costly, time-consuming entanglements some people think come with real estate. 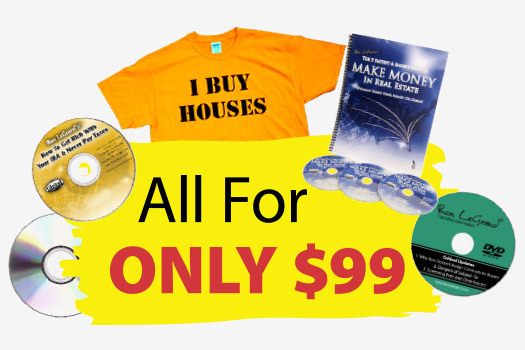 Modern day real estate investing requires very little time, and I’ll show you exactly what I do and how I can do it in less than 5 hours a month. This session will cover what to do if you’re over leveraged in real estate, creditors are knocking down your door and the joy of being alive has vanished and why life doesn’t end when you lose your credit and what to do if it’s getting you down and how to get it back quickly. You’ll hear my story post-2008 and how the recession cost me millions and changed my life forever. But, you’ll also see why it didn’t take me out and, in fact, became a blessing born from adversity. I promise when you hear my story it will make you feel better about any losses you may have suffered. I’ll Screen Your Deals And Show You Exactly What To Do When You Leave To Get A $5,000 – $10,000 Check From Leads You Bring To Class. When you register, I'll provide you pre-event instructions including the proper form to collect information from FSBOs (For Sale By Owners) to bring to class. I’ll show you how to fill out the form, where to find the FSBOs and prepare you with the right prospects to turn into checks within 30 days. Turning them into real deals that make you money is another. I’ll bring some of our mentors with me and they’ll spend all morning calling your sellers and making deals for you. Then after lunch, I’ll go over the ones they reached and discuss exactly what you do next to get paid. You’ll leave with a completed contract on all the deals we can get done that day. Now I don’t know how many we can reach, but it is Saturday morning, and people tend to be at home. Of course, we can’t promise you a deal, but I can promise you’ll leave a whole lot smarter than you came. You’ll see real deals processed while you watch, your deals, local deals, NOT seminar crap! If yours don’t get done, you’ll know what to do when you leave and have the tools to do it with. When’s The Last Time You Attended A Seminar And Got Paid $10k For Going? This exercise is priceless to you and will clearly demonstrate how easy it is to prescreen these leads and turn into cash, maybe for you if you bring leads. Once I Show You What To Do Using Live Deals… A Virtual Assistant Can Do It For You After The Seminar…And We’ll Provide The VA! My whole focus will be on running a very profitable house business with you doing as little work as possible and letting technology and VAs do the rest. That’s the only way you’ll ever join my growing list of 7-figure earners. Automate! Automate! “My husband and I have attended many other seminars and feel that we’ve finally found the best! Thank you to the whole team! Thank you, Ron!" Ron goes step by step through the Terms business and makes it easy to understand. See how so many students get large checks within 30 days on beautiful homes without using their money or credit in this all-day training. Ron delivers a very detailed one hour seminar on how to get rich in your IRA and never pay taxes legally. Over an hour, Ron answers all your questions about Land Trusts and why you should use them in all 50 states. This is Ron’s favorite exit strategy for houses needing work to sell them for almost retail price, as is, without rehabbing first. The most profitable exit strategy. Ron explains how to deal with contractors and all the “dos and don’ts” you need to know! Ron walks you step-by-step through the process of inviting potential private lenders to a luncheon and demonstrates the actual speech, including close, in under 20 minutes. If you bring leads to class, I’ll give you a Shirt. Another deal structuring session from Ron's Quick Start Real Estate School! Lynette demonstrates building rapport with the seller, verifying information gathered by the VA on the property information sheet, confirming desire to purchase subject property and close by getting the email address to send paperwork to get the ball rolling. Cha Ching! This video features Ron and Pam Patton, Director of Eagle VA. Ron and Pam give detailed explanation of what a Virtual Assistant (VA) is and why you need them. Ron addresses the most frequently asked questions. Watch students share their real estate investment stories and walk us through deals they’ve made. Way to go, everyone! Ron goes over all contracts you need to buy and sell in a 90 minute video. A 30-minute expose of Ron’s life and thoughts on becoming successful. Yep, lunch is on me and we’ll do some Q&A while you’re eating and make every minute count. As you arrive you’ll get the scripts I’d like you to use if you wish to call sellers. If you can read, you can use them. All you do is ask the seller three questions. You’ll see why we don’t make sellers offers. We ask them questions and let them make us an offer. This marginal shift will have a massive impact on your confidence and cash flow. We don’t negotiate. We ask questions. You’ll like this part. The cost is only $99 for you, and $49 for guests. That’s correct. I said $99 not $999! You get all these bonuses, and me, for less than a hundred bucks. Sit through the entire day and if you don’t think it was a valuable use of your time, just say so and get a full refund… and keep all the bonuses. Okay, I know you’re wondering why the Godfather of real estate would teach a whole day for a sawbuck and why it’s so cheap. That’s fair, and I’ll give you an honest answer. First, it’s a market test we’re conducting at least once and I have to be there to get solid results. Second, I’ll be offering my four-day training, mentoring, and virtual assistance services there and expect to generate some revenue for the company. That’s right I’ll be selling something. Hope that’s not a big shocker. Third, we now have 100% no money down financing available, and I’d like to test it there. So far, it’s a smash hit, but we’ve only had it available for two weeks and want to get the word out. Okay, there you have it. The brutal truth. You’ll find I’m pretty good at telling it like it is. Now a little bad news. We can only accept 100 attendees so it’s first come first served. Registration is at 8:00 a.m., then we’ll get started at 9:00 a.m. and go to 5:00 p.m. Yes I know that’s early but we’ll need the whole day to work as many deals as possible. You may want to book a hotel room the night before. We’ll send you the location as soon as you register and get you a block rate. Ready to spend a day with Ron? Click below to register or see upcoming dates and locations.